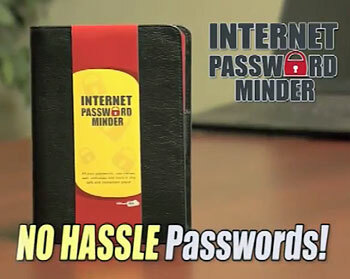 The secret to Password Minder is an amazing technology derived from the renewable resource of wood pulp, which is carefully formed into an amazing substance that experts refer to as “paper.” This bleeding edge paper technology has been previously employed in notebooks and address books found in 99.99% of households. For years, highly educated computer scientists have been working on complex algorithms to defeat hackers, when the real key to Internet security has been a “leatherette-bound cover.” Pickpockets may be able to steal your purse and burglars might know how to break into your house, but they’ll never figure out how to open a book! It’s a last hurrah before you have to find a new line of work. 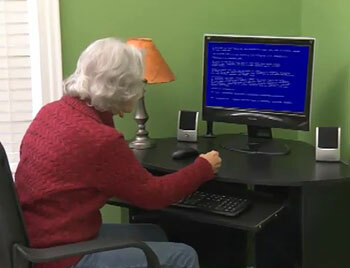 A Moxie Award nomination for “Best Supporting Actress” goes to the old lady who “pounds” her desk in frustration one millisecond after her computer crashes. How is this thing “guaranteed”?? Does that mean if someone sees your passwords in the book and uses them to steal your bank accounts that you can get your $10 back??? 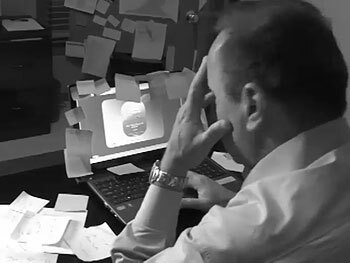 The seal at the bottom of the “Safe Computer Guarantee” (1:08 into the ad) says “Seal”. This one is going in my top 5 bad infomercial products, which is saying something given the competition from the many other items on this blog. 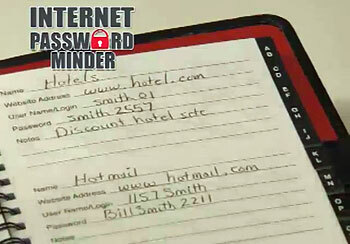 This is nothing but a friggin’ cheap day planner with the pages formatted to write down passwords! “Bleeding edge” is right. You can really cut yourself on one of those paper thingies!! And where the hell am I going to find a “pen or pencil”?? Why can’t I just use the blood from my finger? 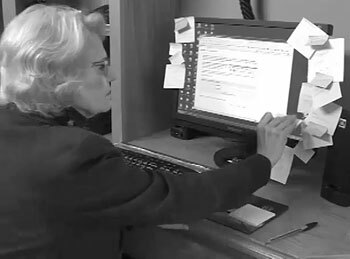 Isn’t the woman who pounds her fist at the desk the same actor shown in the display image for the Instant 20/20 glasses? Just noticed they look awfully alike. You do know that this product, is no longer available right? Plus it was ‘featured’on the Ellen DeGeneres show, she even has some suggestions too!